Ultraviolet-microscopes are used for nondestructive imaging of microscopic samples in regions beyond visible regions. The shorter wavelengths used by the microscopes provide greater magnification. The products are designed for imaging by absorbance, fluorescence, reflectance, and emission in the visible, ultraviolet and near-infrared regions. 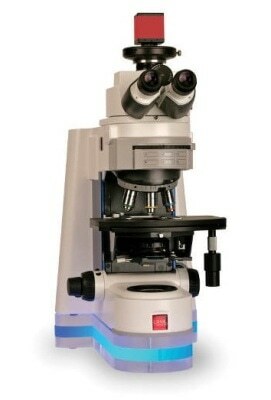 Ultraviolet-microscopes have many applications such as in cellular imaging, analyzing contaminants, quality control in pharmaceuticals, protein crystal location, materials research, ultrahigh resolution imaging, microfluidic device development, petroleum analysis, mineral imaging, dye identification on textiles, and clear coat imaging on paintings. The products are easy to operate with some models available with browser-based image management software for better user interaction. 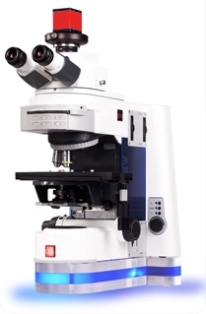 Ultraviolet-microscopes are widely used in precision industries—manufacturing semiconductor chips or OLED displays. 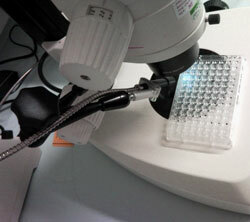 Once submitted, we will try and place you in contact with a suitable Ultraviolet Microscopes supplier within 48 hours.